Imogene L. Lim is an ethnoarchaeologist by training in VIU’s Department of Anthropology. Research interests include: foraging societies, rock art, ethnicity, the Chinese diaspora in North America (archaeology & ethnohistory), and the anthropology of food. As of August 2017, Dr. Lim has a two-year appointment as a member of the Editorial Board of BC Studies. From 2015-17, she was a co-researcher on a SSHRC project, Asian Canadians on Vancouver Island. 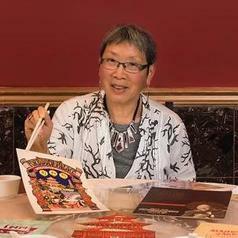 She was a founding member and Board Director of the Chinese Canadian Historical Society of BC. In Cumberland, BC, she sits on the Coal Creek Historic Park Advisory Committee. In October 2014, she was appointed to the Legacy Initiatives Advisory Council to “support and advise government on how to implement recommendations made in the Chinese Historical Wrongs Consultation Final Report” (see Apology for Historical Wrongs Legacy). She was Chair of the Anthropology Department from 2006-09 and 2012-15.